Things are getting festive in Norfolk County! Who needs a partridge or a pear tree when you’ve got cider doughnuts, blueberry beers and locally-grown peanuts; am I right? Here’s twelve things to do (and eat!) in Norfolk this season. Sit back and relax on a locally guided tour of some of Norfolk’s best wineries and craft breweries! From fresh flowers to potted plants, Norfolk County flowers and gardening partner have many gift ideas. From eggs and bacon to delicious wraps and sandwiches to Lake Erie perch … our chefs make our food taste spectacular. That’s two trips to each of Norfolk County’s craft breweries, including the new one – coming soon! Celebrate with award-winning wines that truly reflect the history and character of the region, fresh fermented hard ciders, and exceptional craft-brewed beers. Known as Norfolk County’s official doughnut, these sugar covered babies do not disappoint! 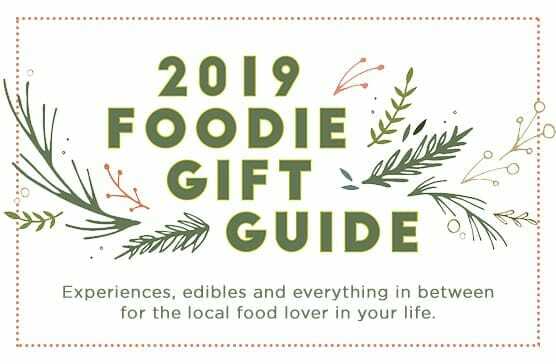 Looking for the perfect gift for your foodie friends? Check out our Gift Guide!